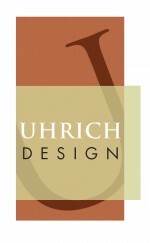 Every project is overseen by principal and interior designer Larry Uhrich. He envisions the overall direction and manages the process, from conception through completion, with clear communication, passion, and attention to detail. Elk Grove, Sacramento, San Francisco, Oakland, San Jose, Orinda, Walnut Creek, Lafayette, Marin, Tiburon, San Rafael, Granite Bay, Folsom, Roseville, Auburn, Grass Valley, El Dorado Hills, Rocklin. Copyright @ 2019 Uhrich Design.